To Wave 2 or not to Wave 2? As the Wi-Fi Alliance starts certifying the latest gigabit-speed products to work together, users may not get as excited as they did for some earlier standards. On Wednesday, the industry group launched its certification program for IEEE 802.11ac Wave 2, a technology that’s been on the market for more than a year. Wave 2 can deliver up to 6.8Gbps (bits per second) and lets an access point talk to more than one device at a time. But due to issues like timing and wired backhaul, Wave 2 adoption has been relatively slow. 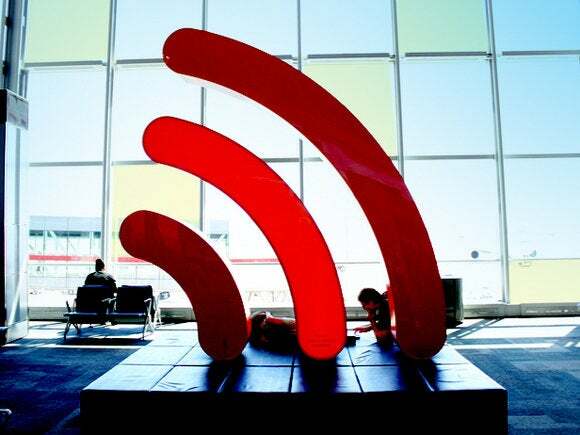 The new technology builds on the first wave of 802.11ac, which started to emerge in 2013 and now makes up nearly three-quarters of the Wi-Fi market in terms of revenue. The new wave adds a few features with real advantages, at least for some users. Most importantly, multiuser MIMO (or MU-MIMO) improves the MIMO technology that already let Wi-Fi transmit over more than one stream through the air. Now, an access point can use those streams to talk to more than one client device at a time. They no longer have to take turns. Wave 2 also can use channels up to 160MHz wide, twice as big as the 80MHz channels available with the first wave. It also can create more spatial streams and use spectrum more efficiently. WFA certification will ensure that Wave 2 products can work together no matter who made them. The group says this will help make the new technology a mainstream success. Qualcomm, which has been selling Wave 2 chips since last year that are now Wi-Fi certified, agrees. But with 802.11ac only about three years old and still being adopted by users, there may be less pent-up demand for the new version than there was when some earlier major standards hit. The first Wave 2 access point hit the market in 2014. But the new technology didn’t break through 5 percent of the market, measured by revenue, until the first quarter of this year, according to IHS Technology. Its survey found Wave 1 made up more than 70 percent of sales. And according to Dell’Oro Group analyst Chris DePuy, the major Wave 2 vendors have been shipping only in the tens of thousands of units per quarter. Some enterprise buyers have stayed away because they needed to see Wi-Fi certification first, DePuy said. But there are other reasons, too. For example, the benefits of Wave 2 are only interesting in certain settings, he said. For example, MU-MIMO makes a big difference in crowded spaces like classrooms, hotel lobbies and sports venues because it lets about three times as many users send data in and out of an access point simultaneously. In homes and average offices, that’s not as big a selling point. The very performance boost that makes Wave 2 better may also be holding it back, because individual access points can now go well above 1Gbps. Feeding that much data back into a wired Ethernet switch takes either 10-Gigabit Ethernet ports, which in most cases means higher grade cables, or a new generation of ports that can run at 2.5GHz or 5GHz. Getting enterprises to make either leap will take time. Meanwhile, there’s another generation of Wi-Fi coming down the pike with promises of 10Gbps peak rates, a much bigger leap from current 802.11ac systems. Chips for that generation, called 802.11ax, may appear as soon as a year from now, DePuy said. It’s hard for vendors to keep up with that pace, he said. If the latest spec is really a half step and is up against a newer technology coming so soon, why did certification come so late? WFA says it starts certifying new technologies when users need them. But the consolidation of the Wi-Fi chip industry may also have affected the timing, said Mark Grodzinsky, senior director of product management at Qualcomm. Where there used to be many silicon vendors making chips for Wi-Fi, now there fewer vendors making chips for more types of networks. That may make it harder to find the multiple vendors needed for meaningful interoperability testing, he said. Not as many buyers worry about Wi-Fi certification as in the past, when there were many chip vendors trying to differentiate themselves with their own ways to boost performance, analyst DePuy said.